The lower Crystal River was running at 8 cfs near the state fish hatchery on Aug. 1, 2018. 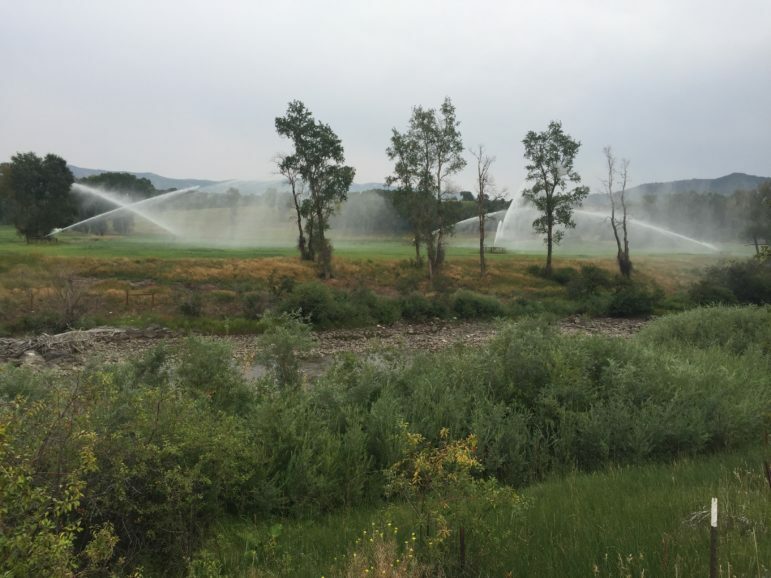 Lows flows on the Crystal have spurred action from the state, including curtailment and a call for instream flows. 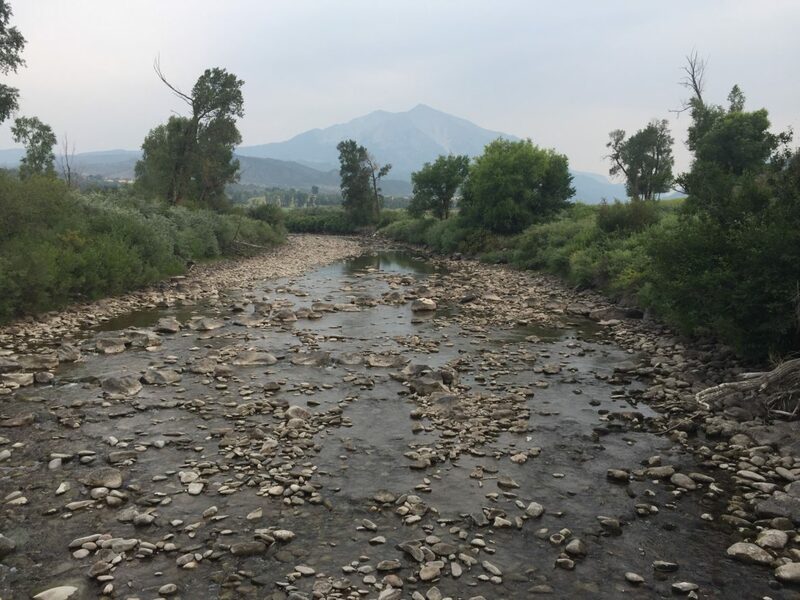 The CWCB used the river gauge near the state fish hatchery in Carbondale to determine that flow conditions were too low. As of Friday morning, the Crystal at that location was running at roughly 8.8 cfs. 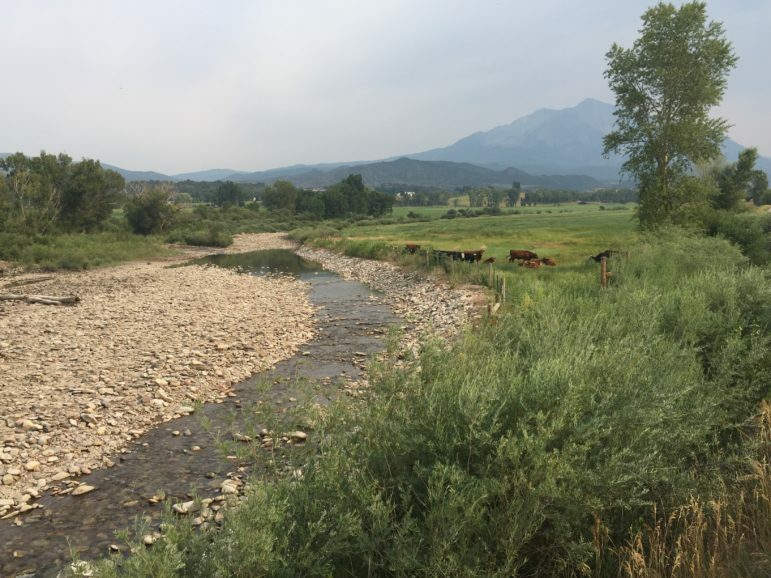 Cows graze near the Crystal River, just upstream from the fish hatchery. The Crystal just downstream was running at around 8 cfs on Aug. 1, spurring action by state officials.